Komply DMX-24 is a 24-channel (8x RGB) DMX decoding driver designed to convert a universal DMX512 digital signal to PWM signal. It can be controlled by DMX512 console, with 256-level gradation. 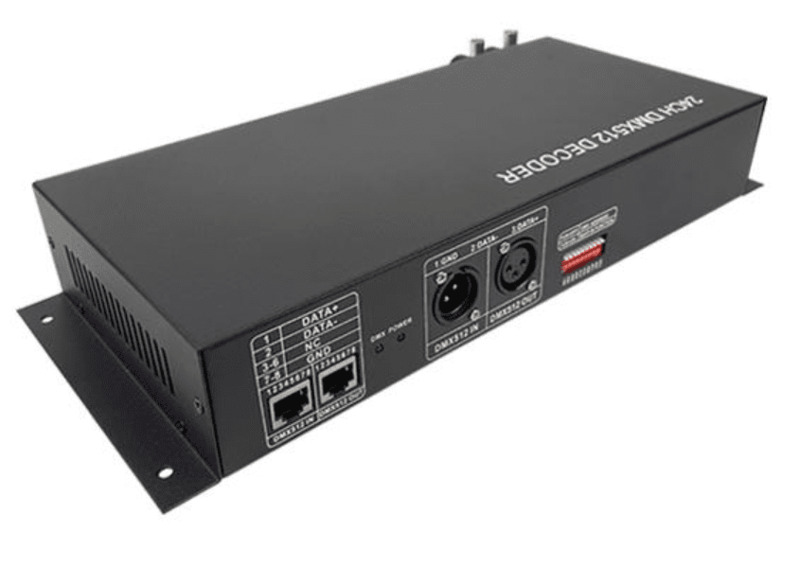 It features 24 total output channels, 2A per channel, RJ45 In/Out, DMX In/Out, and is dipswitch addressable.